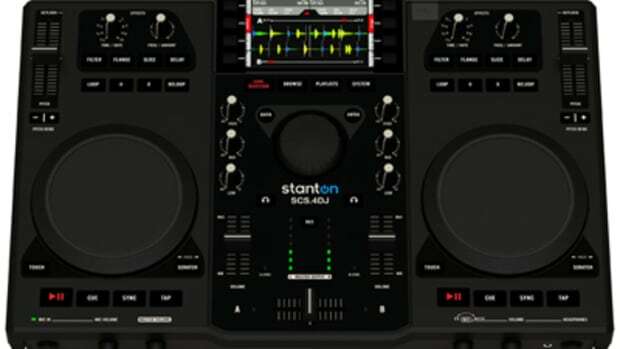 While I was at the 2012 DJ Expo in Atlantic City, I stumbled by the Stanton DJ Booth and caught wind of an exclusive new update for the popular all-in-one mixstation; the Stanton SCS.4DJ. The SCS.4DJ has a new 3.0 firmware upgrade release that will add some new functions including hot cues and upgrades some other features such as faster performance and better beat-grid and BPM sync options. Check out the rundown video from ProfessorXB after the jump! 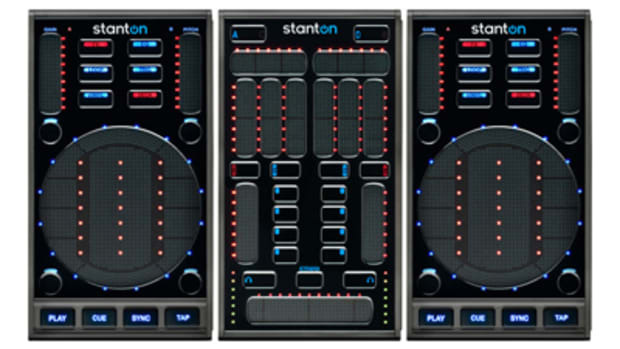 While I was at the 2012 DJ Expo in Atlantic City, I stumbled by the Stanton DJ Booth and caught wind of an exclusive new update for the popular all-in-one mixstation; the Stanton SCS.4DJ. 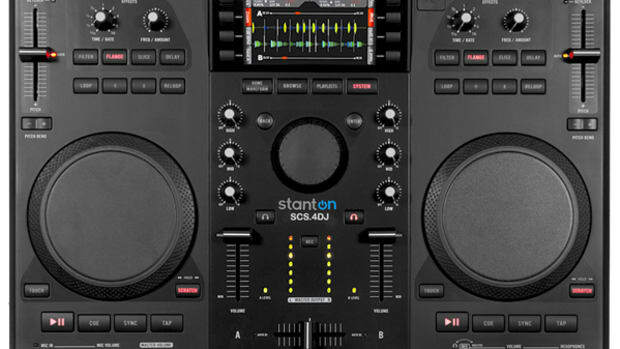 The all-in-one Digital Mixstation known as the Stanton SCS.4DJ now has a new firmware update that will give users even more control over the way they playback their music. The new 4.0 firmware update is absolutely free to all owners of the Stanton SCS.4DJ and will give users a host of new features that everyone is sure to enjoy. Check out the list of new features and the link inside to get the update today. The new Stanton SCS.4DJ 3.0 Firmware is now available for free download to all current and future SCS.4DJ owners. We spoke to ProfessorXB from the Stanton Team who breaks down all the new improvements found on the unit. The new improvements are so drastic, that we had to go re-visit and update the review with these findings which greatly improve the usability of the unit. Check out the video, our review update, and the full press release inside. Stanton has just released a system software update, SC-IX Version 2.0 and a new offline music file analyzer, QuickGrid software for the SCS.4DJ Mixstation. These two updates look to further improve the SCS.4DJ user experience while DJing and preparing music files for performance. Some of the performance updates include increased speed when switching between different on-screen menus, (especially for users with large libraries) and the ability to do the track analysis work offline at high speeds with QuickGrid. Check out the full press release and other upgrades to the SCS.4DJ after the jump. It's Finally Here! 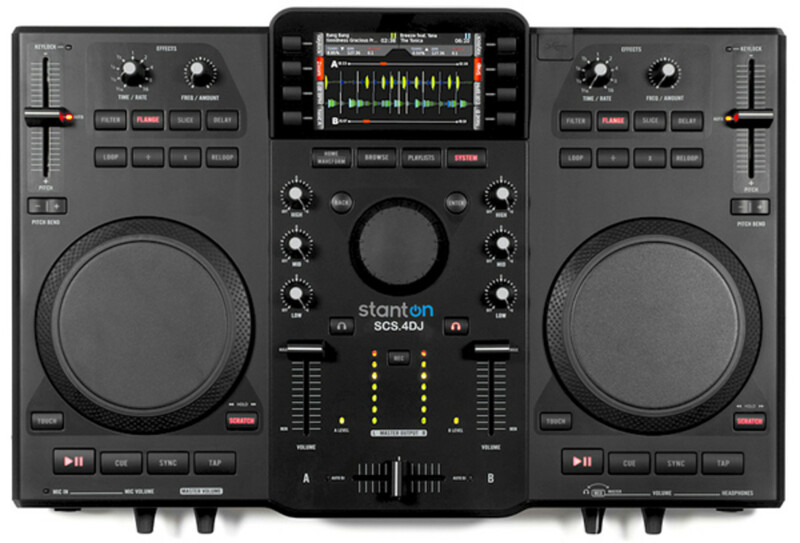 The Stanton SCS.4DJ is the first All-In-One DJ System, with an on-board computer, LCD screen, and software package tucked away into one compact DJ package. 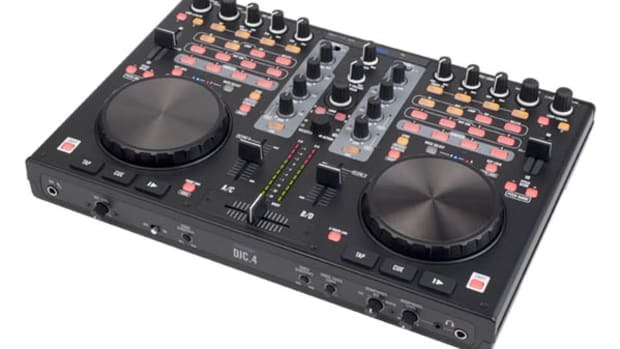 The Stanton SCS.4DJ Digital DJ Mixstation can work as a stand-alone unit or as a full out MIDI controller for other popular DJ software on the market. The complete video review will be finished shortly so stay tuned. In the meantime, check out or unboxing and first impressions video to see the SCS.4DJ up close and personal and tell us what you think. The Stanton DJ division are also in the house at the Atlantic City DJ Expo and we are there to show you what they've got for us. First off, they had the Stanton CMP.800, the SCS.4DJ, the DJC.4, and so much more. Everything was on display ready to use for any who wish to do so. Also in the booth were the entire line of KRK Studio Monitors and the Cerwin Vega speaker and subwoofer line. We'll be getting a few of those in for review soon as well, but for now, check out the Stanton, KRK, and Cerwin Vega booth video inside. The Gibson Pro Audio group (Stanton, Cerwin Vega, and KRK) are also in the house at the Atlantic City DJ Expo and we are there to show you what they've got for us. First off, they had the Stanton CMP.800, the SCS.4DJ, the DJC.4, and so much more. Everything was on display ready to use for any who wish to do so. Also in the booth were the entire line of KRK Studio Monitors and the Cerwin Vega speaker and subwoofer line. DJ Premier rocked the house on Tuesday, and Biz Markie is stopping by later today! For this year's NAMM, Stanton has just announced that their popular touch-format digital DJ Media Controller, the Stanton SCS.3 will now ship and work perfectly with the Virtual DJ LE platform. Going forward, anyone who purchases a new SCS.3 will find that it is bundled with Virtual DJ LE from the start. Current Stanton SCS.3 users now have the option of downloading a version of Virtual DJ LE and everyone will also be able to upgrade to the Pro edition for a special low price. Details inside.